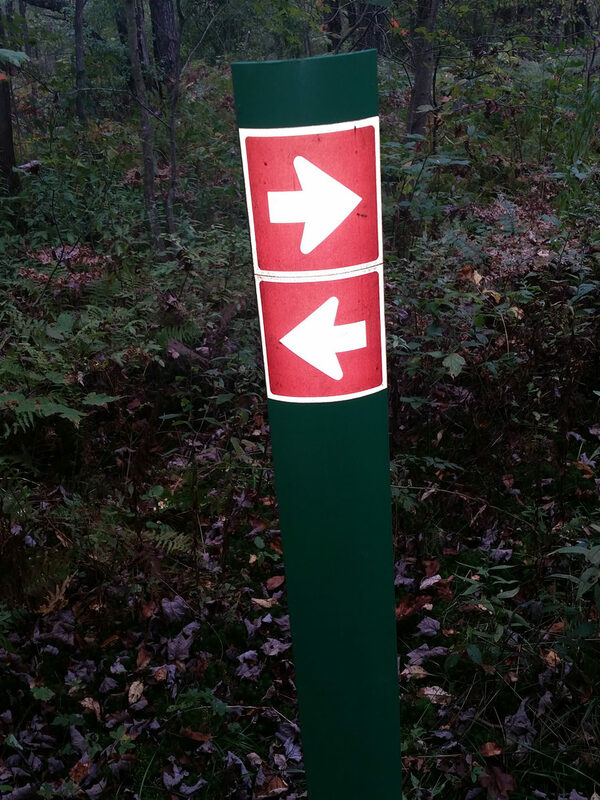 Directions: The primary access is along the east side of Rt. 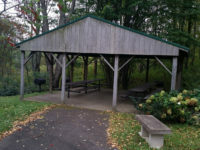 8, near the village of Lowville, approximately 4 miles north of Wattsburg, Erie Co., PA. Look for a dirt and asphalt pull-off set a short distance from the road. Other portions may be accessed from Page Road to the north, and Half Moon Road to the east. 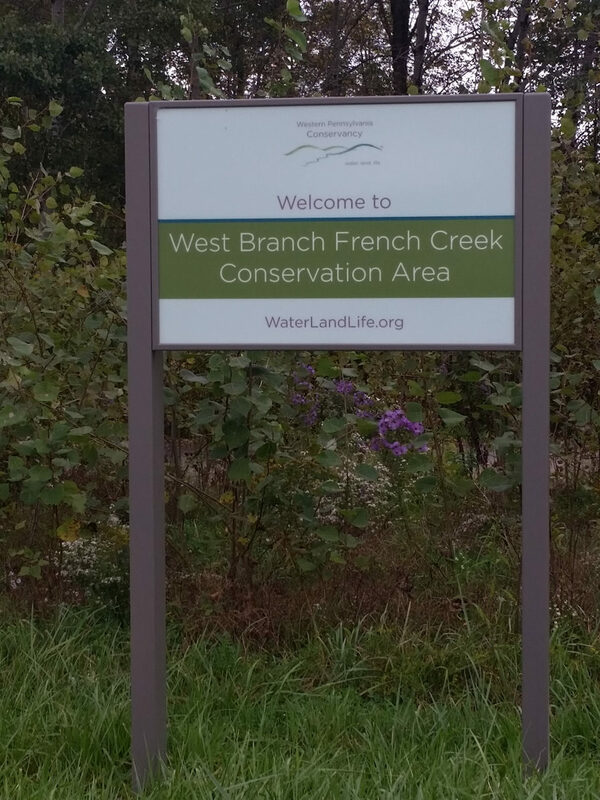 Description: The Conservation Area includes a variety of upland and wetland areas and more than 4.5 miles of frontage along the West Branch of French Creek. There are extensive areas of forested wetlands, including oxbows and old side channels, which provide important habitat for a diversity of plants and animals. Recreational activities: From the parking area off Rt. 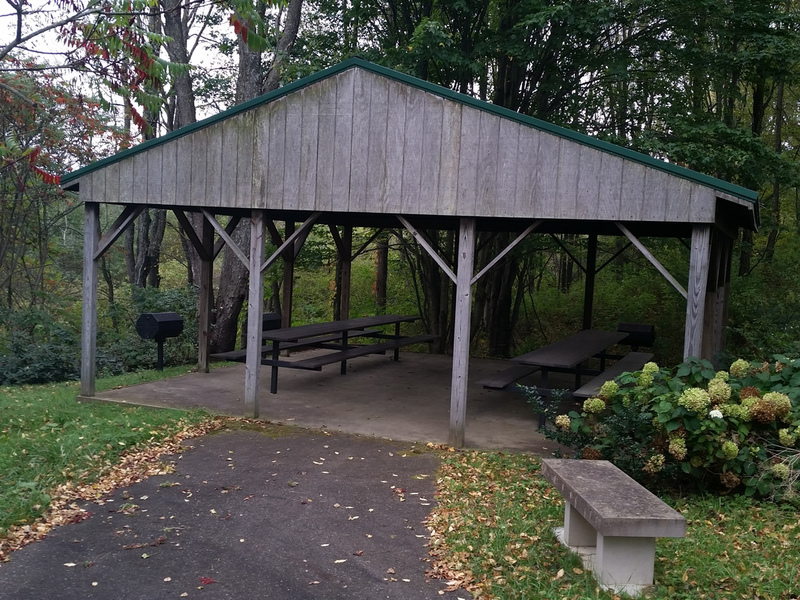 8, a short, paved, handicapped-accessible path leads to a covered pavilion containing tables and grills. Also from the parking area, a 1.1-mile loop unpaved hiking trail leads north to a series of picturesque beaver ponds. A rough-hewn log boardwalk, or puncheon, traverses a wetland located just below a beaver dam. 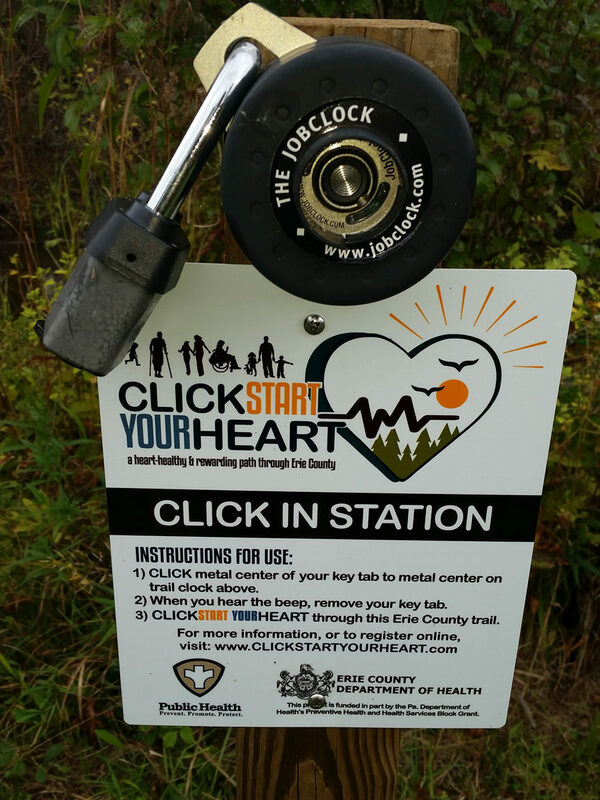 The trail then turns to circle an old Christmas tree plantation, and skirts along the edge of the West Branch French Creek floodplain. 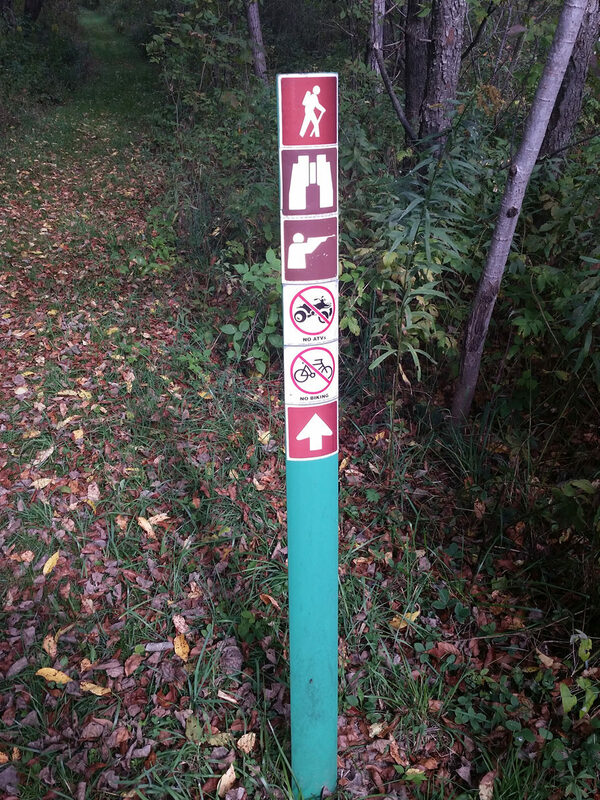 Depending on the season, portions of the trail may be quite wet. From Half Moon Road, visitors can walk along an old farm road through old fields and a reclaimed gravel mine to reach the edge of the floodplain forest. 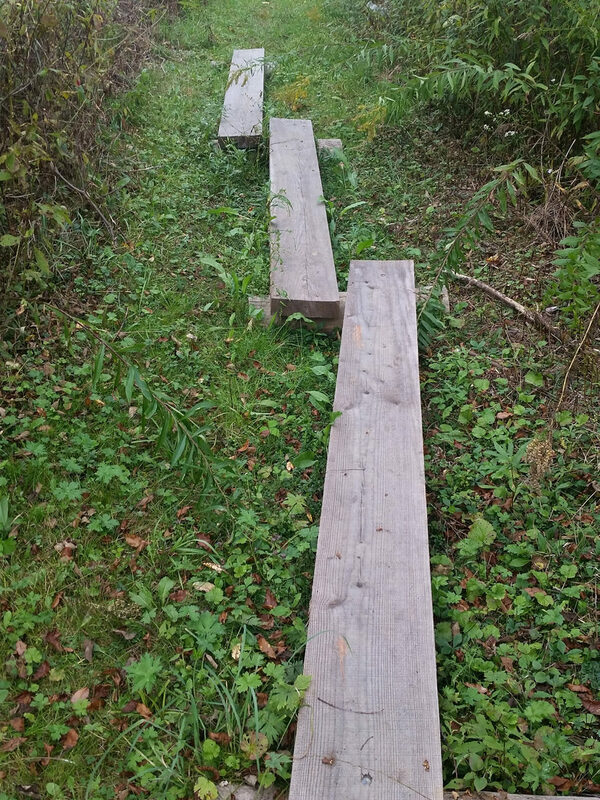 At the end of the trail, a stone bench overlooks a small pond and wetland. 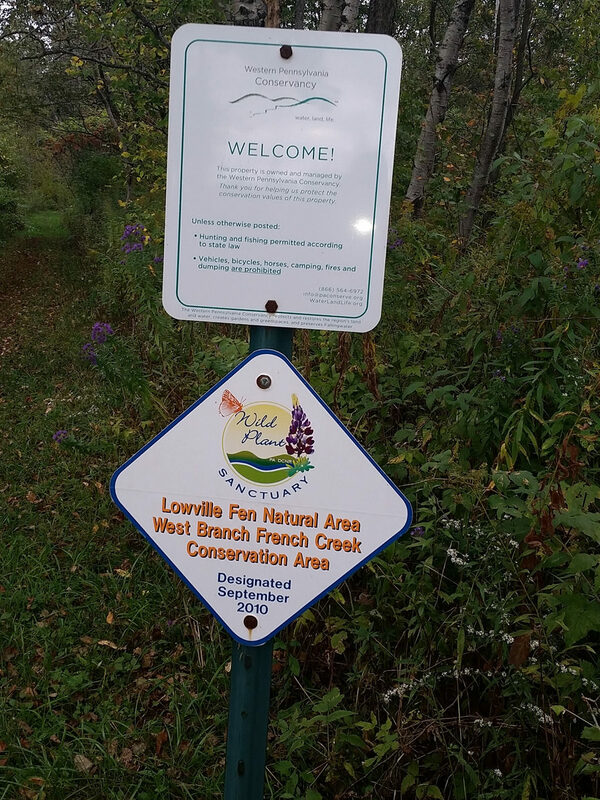 Within the Conservation Area is a unique shrub-fen community known as Lowville Fen. Fens are permanent wetlands fed by calcium-rich groundwater that support species requiring a high pH. 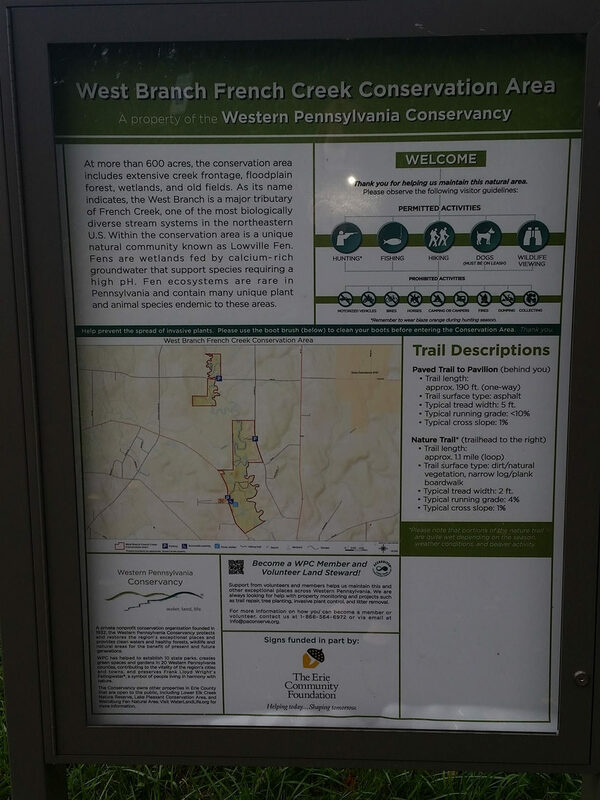 As fen ecosystems are rare in Pennsylvania, and limited to the glaciated northwestern region, they contain many rare plant species endemic to these areas. These species include highbush-cranberry, alder-leaved buckthorn, leafy northern green orchid, slender cotton-grass, and mud sedge.